Co-sleeping parents can soon get their hands on this amazing product locally, click through to find out where you can get one in Australia. The Bednest drew plenty of oohs and ahhs when we first featured it on Babyology three years ago, but the cost of shipping was a little too steep for some. The great news is that the fabulous Danish By Design will soon have these handsome sleepers available for local purchase. The Bednest allows for co-sleeping without many of the concerns that go along with having a baby in a parent’s bed. It’s height-adjustable and clips to the side of the bed. 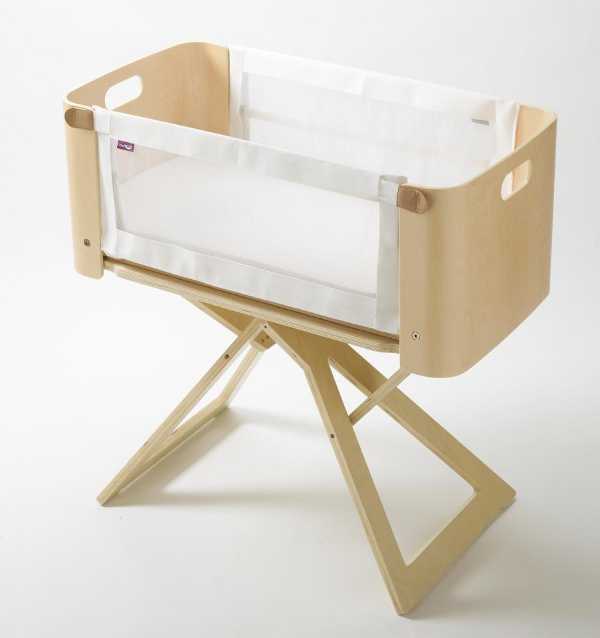 The sides can be adjusted up or down, so it can also be used as a traditional bassinet. The Bednest will be available from Danish By Design by mid-June for $599.95.